For businesses with a global footprint, managing a geographically dispersed customer base means much more than overcoming language barriers. It also entails adapting to the cultural differences of your international audience and meeting the latter’s expectation from customer service. Cultural nuances vary from region to region. What may be the norm for people of a particular social group may not be relevant to those from a different geographical territory. The same holds true for the French culture. It has its own peculiarities and subtleties that you must bear in mind when strategizing your French call center services. Here are a few of the dos and don’ts that will hold your French call center team in good stead when dealing with the Mesdames and Messieurs. The famous saying of “When in Rome, do as the Romans do” is also applicable to telephonic conversations. So what if you are not having face-to-face interactions in the land of CHANEL, Hermes and LOUIS VUITTON? You still need to make an effort to uphold the conventions of the area if you genuinely wish to provide exemplary call center services in French. It is common knowledge that the French love their language and hold it in high regards. So much so that their pride may translate into your French callers not being willing to converse in any other language. In such scenarios, a heartfelt apology for not knowing the language or not perfecting it to the level of a native may get your support staff some consolation points. Even if your French callers are comfortable with your agents communicating in English, the sheer range of dialects can mean they are unable to comprehend your team’s way of speaking the English language and find it strange or confusing. So, it is advisable that your customer service associates don’t make use of idioms and colloquialisms that are specific to their local regions. Offering multilingual support is an effective way to replicate the experience of a French caller when contacting a customer service team in France. Seeking the services of a company like LiveSalesman can greatly benefit you here. LiveSalesman is a leading provider of multilingual customer contact solutions which include French customer support. Employing bilingual call center agents who are fluent in both English and French, its 24/7 French call center can help you render the desired level of service as expected by your high-quality-seeking French customers. Known to be private people, the French usually keep their personal and professional lives separate. While they feel comfortable loosening up in front of their family and close friends, the scenario is different in their business dealings – characterized by a high degree of formality in verbal and written communications. When engaging in rapport building activities such as small talk, be sure to keep the tone of your conversations formal and professional. Avoid getting too personal too soon or revealing too much too early. Neither of the two is desirable or appreciated. Similarly, respect your French customers’ need for privacy and refrain from asking intrusive questions that may be discomforting to them. Bringing politics into your conversations or talking about money matters and religion is also a strict ‘no-no’ in the French business culture. Unless the caller himself or herself initiates such topics, it’s wise to steer your discussions towards relatively neutral subjects such as food, art, culture, music, and movies. Generally, humor and wit are well-received if you use them in the right context or setting. Exercise caution when cracking a joke as it may not go down well with the situation or the timing may be inappropriate. Your support team may think the cultural peculiarities, as mentioned above, are too subtle to make any difference in their day-to-day interactions with French callers. What they may not realize is that taking care of these nuances can positively impact the experience of your French customers when they contact your French call center. Hence, make sure you bake these cultural uniquenesses into your service guidelines when preparing to deliver call center services in French. Backed with over 15 years of experience, LiveSalesman specializes in French call center services for diverse and global businesses. Its omnichannel French customer support team comprises native French speakers who are well-versed with the French culture and regional accents of France. Hence, it becomes easier for them to strike a natural conversation that does not sound forced or fake to your French-speaking callers. Every customer contact is an opportunity to reinforce your brand and garner customer loyalty. Likewise, addressing your callers in the right manner is essential for projecting a professional image of your business. The use of honorific titles is ingrained in the French culture. French business etiquette dictates the use of a “Monsieur” or “Madame” followed by the last name when addressing someone who you are not well acquainted with. This is regardless of a person’s rank or position. In France, it’s not the norm to be on a first-name basis with someone unless told to do so. Only family members and those in one’s inner circle enjoy this privilege. Referring to a young French woman as “Mademoiselle” is perfectly acceptable socially but not when the setting is a professional one. ‘Bonjour’, ‘Bonsoir’ and ‘Bonne Journée’ are standard French greetings and equivalent for “Good morning”, “Good afternoon” and “Have a good day”. Whether to use “tu” or vous” is the dilemma of many non-native speakers. Both mean the same, i.e. “you”. However, the first is an informal version of “you” while “vous” is the formal variant and mandated in business communication. You can get away with an incorrectly used “vous” instead of “tu” but the other way round can offend a French person if you are not close enough with him or her. Ensuring this degree of familiarity with French greetings and expressions can be challenging for your support staff if they don’t boast expertise in French customer support – a niche area. Partnering with LiveSalesman can be a wise move to create memorable customer experiences with the help of cost-effective and experienced French call center services. Dealing with the French can be both pleasant and startling for you and your team. On the one hand, the French can instantly put you at ease with their courteous and respectful nature. On the other hand, they can take you by surprise with their straightforward approach. Asking probing questions to decipher the underlying meaning of what is being said is something that comes naturally to them. Clarity of thought, good debating skills, keen attention to details and logical reasoning are a few of the traits that appeal to their intellect. Famous as good conversationalists, the French have a thing for brainy discussions which can turn into spirited conversations in no time. Hence, don’t be taken aback if you suddenly find yourself embroiled in a lively exchange! It is not unusual for the average French person to enjoy a good debate more than idle chit-chat. So, coach your team not to get upset if their attempts to make small talk fall flat on French callers. 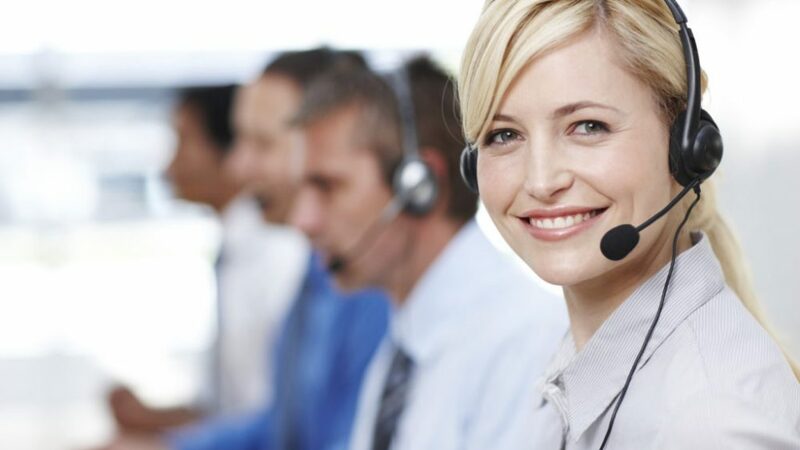 Conversely, the support agents offering call center services in French can look forward to some intellectually stimulating discussions during the course of their day. Considering how detail-oriented the French are, it’s not surprising that they like to analyze business proposals in depth and at length. Patience is required when attempting to close business deals as making hasty and on-the-spot decisions is not something that the French are used to or that sits well with them. Their direct nature also makes them unappreciative of hyperbole. Tall and false claims are sure turn-offs. Thus, it will be wise of your support team to ensure they are not getting into an overtly pushy mode or resorting to pressurizing sales techniques when trying to upsell or cross-sell products and services to your French callers. It goes without saying that there’s a lot that needs to be factored in when planning the ideal support framework to serve your French customers. Running a full-fledged, in-house French call center, replete with native speakers, may not be an economically viable option for you, especially if your business is starting out or yet to assume the scale of a self-sufficient establishment. Also, bear in mind that providing top-notch French call center services is not just about timely and accurate responses to calls and emails. It’s also about an all-encompassing support package that covers all possible modes of customer contact, including live chat, mobile and social media. At LiveSalesman, we pride ourselves on our high-end multilingual customer contact solutions that can address the needs of different industries and business lines. Contact us today to know more about how our call center services in French can elevate the experience of your French customers.